This AHRC-funded study, The Literature of the Irish in Britain: Autobiography and Memoir, 1725-2001 (Palgrave Macmillan, 2009), is the first critical survey of the autobiographies of writers of Irish birth or background who lived and worked in Britain since the early 1700s. Drawing on the work of over sixty writers, the book illustrates the diverse modes in which the ‘story’ of Irish migration to Britain has been narrated and shows how these testimonies deepen our understanding of what it means to be an immigrant at different times and places. Among the authors discussed are Laetitia Pilkington, W.B. Yeats, Patrick MacGill, Elizabeth Bowen, Sean O’Casey, Louis MacNeice, Alice Foley, Dónall Mac Amhlaigh, William Trevor and John Walsh. 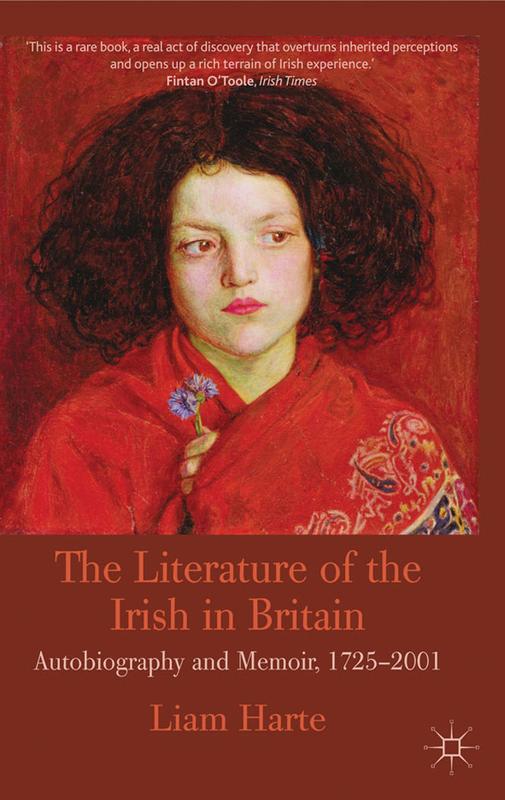 The Literature of the Irish in Britain was a Book of the Year in the Times Literary Supplement and the Irish Independent, and has been described by the President of Ireland, Michael D. Higgins, as ‘a really major work’. – Colm Tóibín, Irene and Sidney B. Silverman Professor of the Humanities, Columbia University, New York. – Fintan O’Toole, Irish Times, 25 April 2009. – Conor Carville, Times Higher Education, 11 June 2009. – Joe Horgan, Books Ireland, Summer 2009. – Enda Delaney, Dublin Review of Books, Summer 2009. – Roy Foster, “Books of the Year,” Times Literary Supplement, 27 November 2009. – Mary Kenny, “Books of the Year,” Irish Independent, 19 December 2009. – Claire Lynch, Irish Studies Review, 17:4, 2009. – Aidan Arrowsmith, Literature and History, 19:2, 2010. – Sylvie Mikowski, Cercles: Revue Pluridisciplinaire du Monde Anglophone, 22, 2012. Listen to address by Michael D. Higgins, President of Ireland, to audience at Glucksman Ireland House, New York University, 3 May 2012. Watch an interview with Martin Lynch, filmed at Z-Arts in Manchester in July 2015, in which he discusses the play and the writing of it. 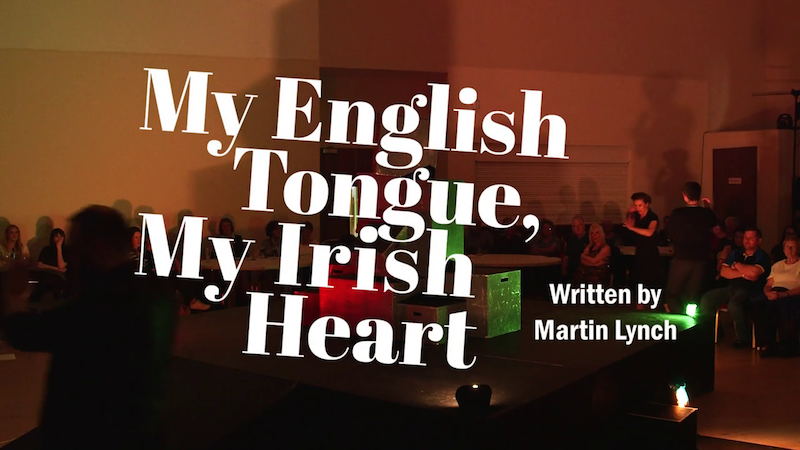 Watch a full performance of My English Tongue, My Irish Heart, filmed at the Irish World Heritage Centre in Manchester during the play's tour of Ireland and the UK in May 2015. Watch interviews with three creative writers, Bridie Breen, Annette Sills and Patrick Slevin, who took part in the 'Writing Migration' workshops that accompanied the play tour. Watch an observational documentary, made during the AHRC Connected Communities 2015 Festival, which follows the workshops and showcases some of the performances that emerged from them. 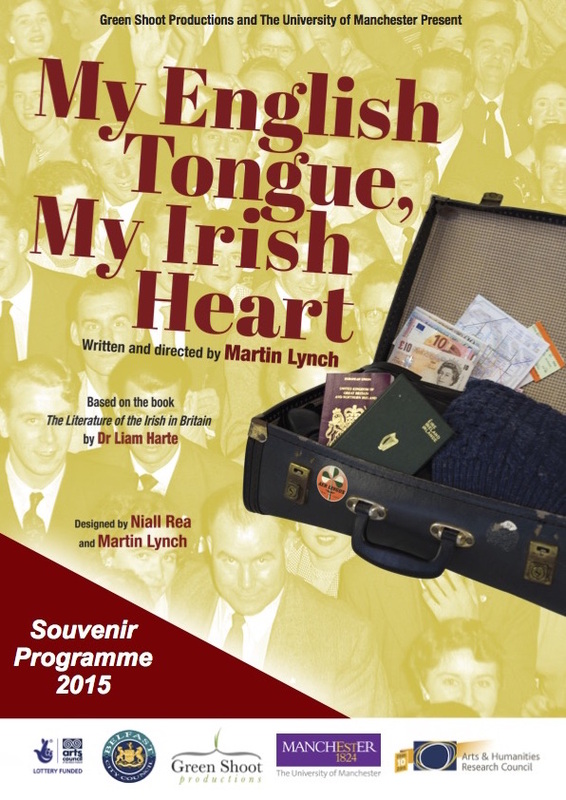 The programme for My English Tongue, My Irish Heart can be viewed here. My Country, A Journey is a multi-strand research project that explores the relationship between migration, creativity and cultural identity in British and Irish society, both historically and in the present. It aims to engage those whose lives have been affected by migration, particularly those whose sense of identity and belonging has been expanded, revised or reconfigured as a result.